Cameras and screens have become ubiquitous in everyday life. This provokes questions about the ways we produce, perceive, distribute, but also teach and study cinema today. For this conference, we aim to discuss three entangled phenomena to probe into the ubiquity of screen cultures in the digital age: education, mobility, and storytelling. First, education. Phones are used to shoot anything from cat videos to entire feature films, which we share and watch on Vimeo or Tudou. Increasingly, documentaries and short movies are made by what used to be called “amateurs.” What role does formal film education have then, when shooting and editing have become seemingly easy? How to educate the young in a time in which the visual and the digital reign? What are the problematics, if not dangers, of becoming visible (cf. Rey Chow)? Second, mobility. Digitization allows for almost immediate mobility of images, but in its slipstream are also technologies, money and ideas (cf. Appadurai). Where do we stand twenty years after the rise of transnational cinema studies? How do film festivals facilitate the global circulation of film? When all that seemed solid becomes unstable and is on the move, what happens not only to scholarship, but also to our lived experiences of cinema? And how does it provoke a desire to stay put and be slow? Third, storytelling. How has increased mobility provoked cross-fertilization amongst forms, genres, national cinemas, and their storytelling conventions? How is the Internet used as a platform to experiment with form, content and technology to tell the stories of our digital age? How does the emergence of virtual and augmented realities affect the ways in which films are made and perceived? How do new visual regimes emerge and alter the language of cinema? What are the theoretical and political implications of these transformations, and do they provoke a redistribution of the sensible (cf. Rancière)? How is the movement-image, with its focus on plot, and the time-image, with its focus on point of view, supplemented by the neuro-image, in which we experience the mental landscapes of characters (cf. Deleuze and Pisters)? 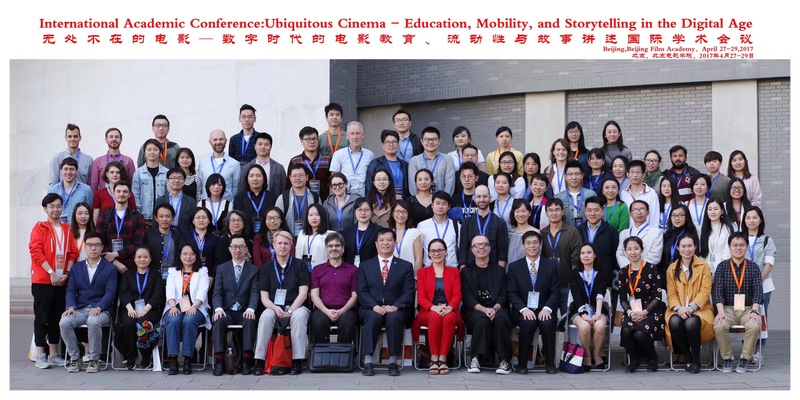 This conference brings together scholars from various disciplines to reflect on these questions related to film education, mobility, and cinematic storytelling in the digital age.